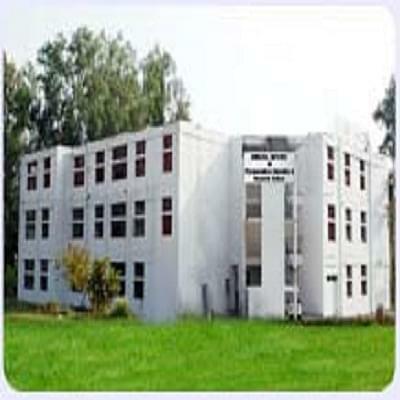 The Himachal Institute of Pharmaceutical Education and Research also known as HIPER is situated in the district of Nadaun - about 500 meters from the National Highway of Himachal Pradesh and close to the bank of River Beas. Away from the commotion of the city life, the quiet and peaceful region of Nadaun however is well connected to Chandigarh, Kangra and Shimla by road. The pharmaceutical courses (bachelors and diploma) of this Institute which was founded in the year 2008 are duly approved by All India Council for Technical Education of New Delhi. Doctor R Parthasarthy, the Principal of the College firmly believes in imparting education to the students in such a way that it increases their chances of getting better employment opportunities. Why to join the Himachal Institute of Pharmaceutical Education and Research? All those students who are able to secure top three positions in the University Examinations can win an attractive cash prize of INR 5100 in any of the semesters which if they desire can be further used to pay fees of the other semester. At the time of admission into the Himachal Institute of Pharmaceutical Education and Research, students who have secured 85% or higher in their HSC (10+2) examinations will be at the receiving end of a rebate of INR 5000 in their tuition fees.